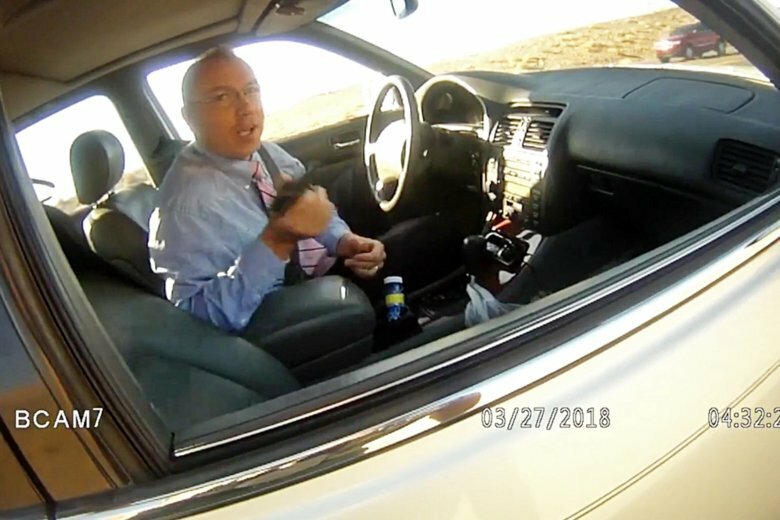 LAKE HAVASU CITY, Ariz. (AP) — An Arizona state lawmaker who was seen on video bragging about driving more than 120 mph (193 kph) earlier this year pleaded not guilty to a misdemeanor charge for speeding Thursday. The Today’s News-Herald newspaper reported Thursday that the warrant was issued Sept. 6 after State Rep. Paul Mosley failed to appear in court a day earlier on a charge of excessive speed. The Republican legislator from Lake Havasu City appeared in Parker Justice Court and was released without bail pending an Oct. 18 hearing. Mosley didn’t immediately respond to a telephone call Thursday or an email sent to his office at the Capitol building in Phoenix seeking comment on his case. In March, Mosley told a La Paz County Sheriff’s deputy who pulled him over that he had previously driven at speeds of 120 mph (193 kph) or higher and should not be cited because of legislative immunity. Mosley apologized in July after the video first shown on a local broadcaster’s website was widely disseminated by other news media. But a document from November 2002 shared by the Arizona state House Rules Committee says speeding tickets — as well as violations for driving under the influence — are not covered. The traffic stop was the subject of a complaint filed with the Arizona’s House ethics committee. Mosley was elected in 2016 but lost the August Republican primary to Leo Biasiucci. The video cost Mosley the endorsement of the Arizona Fraternal Order of Police, which represents law enforcement officers. The group’s president said Mosley’s behavior and “utter disregard” for public safety were the opposite of what they look for in elected officials.